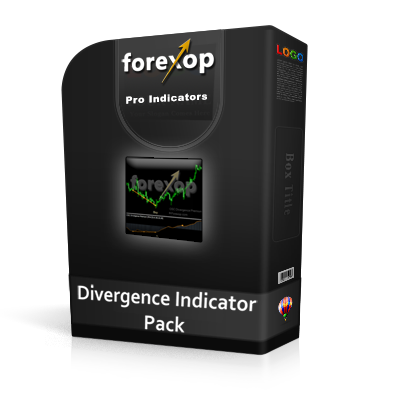 A free Metatrader indicator that displays the Keltner channel on any chart. It also alerts you whenever the price crosses or touches one of the Keltner bands. 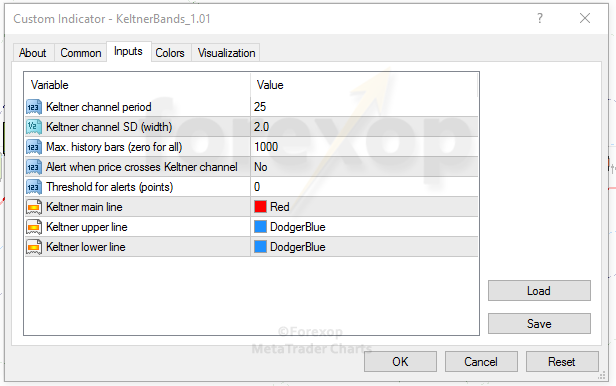 This Metatrader indicator will calculate the Keltner channel and display it on the chart in a chosen color. It will also create an alert whenever the price crosses over the channel. 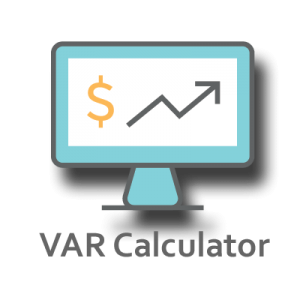 This provides a way to trade price breaks that occur as the market crosses down through or up through one of the Keltner bands. It also lets you trade support and resistance. Keltner bands measure range and deviation of the market from a central axis line. They’re similar to the Bollinger band. The main difference is that the Keltner channel, made up of a lower and upper band, is formed from the Average True Range (ATR). 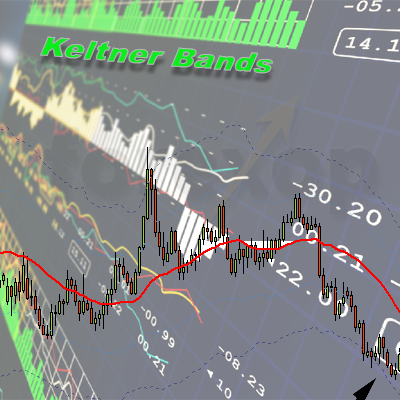 There are various strategies for trading Keltner bands. The range trading school of thought treats the bands as areas of support or resistance. Meanwhile the breakout approach trades on breaches of the bands by treating these events as bullish or bearish breakouts in the direction of strength. That means going long when the upper band is breached and going short when the lower band is breached.